Mitchell County Regional Health Center helipad. 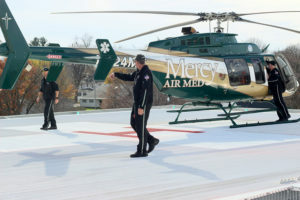 A key component in the $12.5 million expansion and renovation of a northeast Iowa hospital was placing a heliport atop the new building. 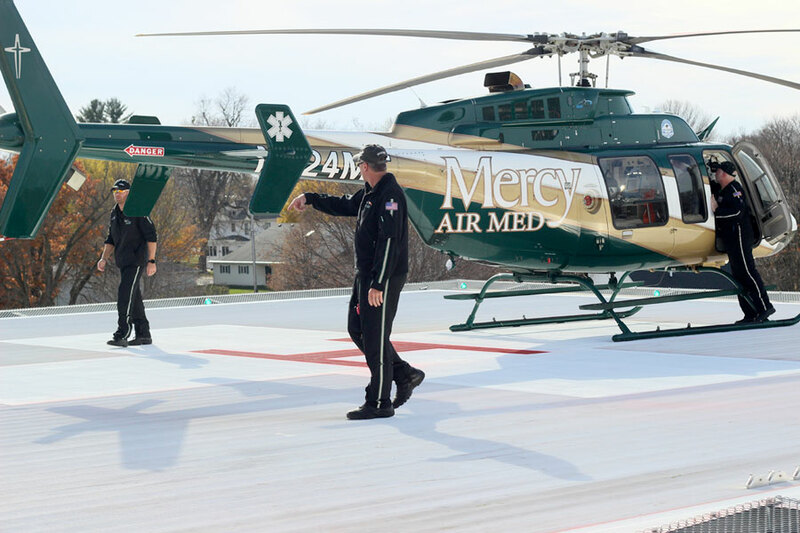 Mercy Air Med tested the new heliport this week at the Mitchell County Regional Health Center in Osage. Hospital CEO Shelly Russell says the new building presented a challenge to deliver patients to the hospital via helicopter. “That took space that was previously where the helicopter landed,” Russell says. “For part of this project, the helicopters have been landing at the airport and we’ve been transporting the helicopter crew to the hospital to transport patients out.” Russell says the previous landing spot carried safety concerns with pedestrians and cars. “We had a lot of discussion about where to put the helipad and did we want to move it to another area of the community that was close by,” Russell says. “The only thing that made sense and that also met the FAA guidelines was to put it on the top of our new clinic building.” She says the new heliport streamlines patient care and decreases risk such as extra personnel, traffic and weather conditions. Russell says the helipad has state-of-the-art features. “We do have a fire suppression system built in on the helipad,” Russell says. “We did some foam testing a couple of weeks ago.” The hospital makes about 25 helicopter transports per year.